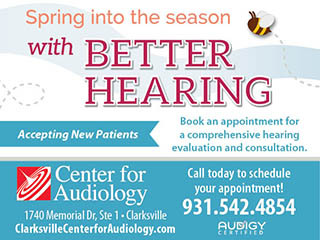 Clarksville Parks and Recreation invites community to February 20th meeting. 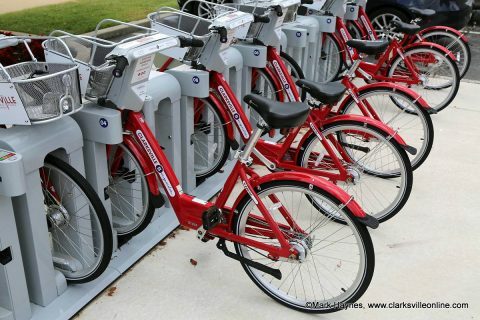 Clarksville, TN – The success of Clarksville Parks and Recreation’s BCycle bike-sharing program has inspired interest in creating an organization to promote a more bicycle- and pedestrian-friendly community. Like-minded local residents, businesses, clubs and agencies are invited to meet at 6:00pm February 20th, 2018 at Liberty Park’s Freedom Point to discuss forming a bicycle and pedestrian advocacy group. Guided BCycle bike rides will show off Downtown Clarksville. “The popularity of the BCycle program in Clarksville since its launch two years ago has been incredible, and we have a high volume of walkers and runners who use City parks and trails,” said Jennifer Letourneau, Director of Clarksville Parks and Recreation. Clarksville Mayor Kim McMillan said the usage data indicates biking, walking and running are priorities for City residents. The survey will help set the agenda for the meeting.